The mission of the Poland Schools is academic excellence. The school system strives to provide a quality learning environment for students having a broad range of abilities, interests and special needs. This learning atmosphere of excellence provides all students with the opportunity to develop their knowledge base, skills and attitudes to become lifelong learners and responsible citizens. 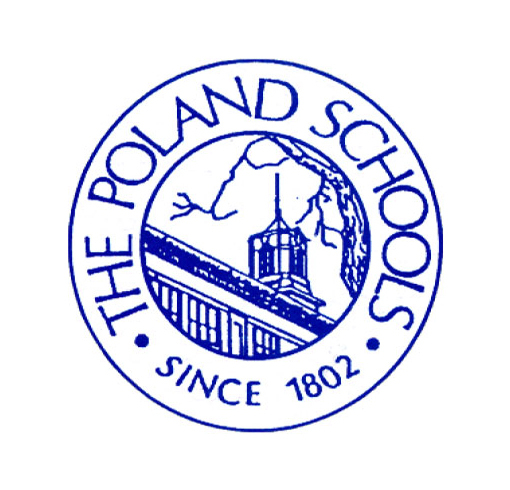 We encourage you to contact us directly if you need more information, please visit Poland School District's website at polandbulldogs.com. In case of hazardous weather conditions or utility equipment failure, the Poland Schools are permitted by Ohio law to close up to three days for such purposes without any makeup days required. The State requires any days missed beyond three to be made up. Ohio Law also permits school districts to delay opening schools up to two (2) hours for hazardous weather without that day being designated as a calamity day. 2 hour delayShould a delay be implemented, here are some important procedures to remember: A two hour delay means all schools simply start two hours later. High School would start at 9:55 a.m. instead of 7:55 a.m.
Middle School and McKinley Elementary would start at 10:38 a.m instead of 8:38 a.m.
Dobbins, North and Union Elementaries would start at 10:20 a.m. instead of 8:20 a.m. Bus routes in AM would be two hours later than normal, unless part time. Part time should check with their supervisors as to hours. Cafeteria lunch times remain the same. No change. Dismissal times and PM bus runs remain the same as on a normal school day. It is our policy and practice not to delay or close schools unless it is absolutely necessary. The reason is that closing or delays cause major disruptions to today's families where both parents (or single parents) work. These decisions are always difficult and usually involve many variables, some of which may or may not be known to you or the public at the time the change in the school day is announced. Regardless of this official policy, students and personnel should always use good judgement and caution about the conditions of the individual roads on which they must travel. Drive safely at all times. Please remember, we place the safety of students and staff as foremost. All administrators (principals, transportation coordinator, cafeteria coordinators, special education coordinators) are urged to remind staff, students, and parents about these procedures. It is our goal to provide safe nutritious meals for the students of the Poland School District. 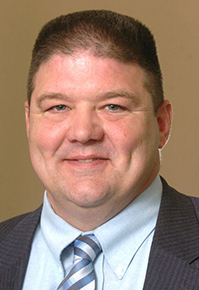 Poland School District has a computerized system for tracking student purchases. This system provides an account for each student. The parent/guardian should add funds to the students account so that the student will have means to make purchases for meals as needed. A la carte items can be purchased through this system, however, the parent has the right to limit or omit these purchases as desired with written notification to the food service department. Send Cash. Cash is always accepted. However, this is the least safe way to provide meals for your child. Cash gets lost, stolen, and does not provide for a paper trail of transactions as well as other methods. Sending cash daily can slow down the lunch line. Send a personal check or money order. As long as you have not had problems with insufficient fund checks in the past, personal checks are acceptable. Checks can get lost, or stolen, however once they are accepted in the cafeteria they are easier to track. Make checks out to : Poland (your child’s) School . On the memo line of the check please provide the students name. Pay online. This is the newest and safest method to provide meals for your child. Money can be put on your child’s account via the internet at www.myschoolbucks.com, using pay pal or a major credit card. Once you set up an account using your student’s ID number you can put money on the account, track the funds, and even monitor what your student purchases for the past 30 days. Students in grades K-4 will be sent a letter if their accounts fall below $6.00 as a reminder to the parent to replenish the account. Students in grades 5-12 will be instructed to provide the information to their parents. As a courtesy we will allow a student to charge a meal if their account funds are insufficient, they will not be permitted to charge a la carte items. Any money left at the end of the year will be held for the following year. Senior students are encourage to deplete their accounts prior to the end of the school year.